Our Finance and Insurance Department is designed to cater to your individual needs as a client. We offer several options that allow you to finance or lease the pre-owned car of you choice. Our excellent reputation and relationship with each lender allows us to give clients the most competitive loan programs in the automotive industry as our lenders continually offer attractive specials on individual models that are available upon request. Enhance your purchase by choosing from a variety of finance products that can insure your investment from mechanical breakdown, total loss, theft and damage . Our experienced staff will assist you in a manner that will produce the most enjoyable car buying experience possible. 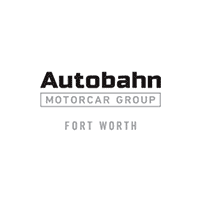 We understand that buying a car can be a strenuous process, but here at Autobahn we believe the process should be an enjoyable one. That is why we offer enticing finance and lease options that our clients find to be competitive and catered to their specific needs. Our Pre-Owned Finance Managers are committed to helping you expedite your transaction in a seamless manner. To make your process quicker and easier, you can fill out our online credit application at any time during your purchase and we’ll present you with the most competitive finance and lease options. Extend the warranty on your pre-owned car. Our finance department offers a variety of warranties to our clients. Just let us know your mileage and we can cover your options. Replacing a wheel and tire on a luxury car can be expensive. We offer our clients a program that ensures your wheels and tires from damage. Just let us know a few quick details about your car and we’ll provide you with comprehensive information.